An exclusive three day conference featuring keynotes by 24 of the world’s top scientists in stem cell research. 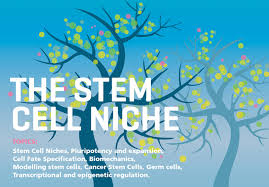 Topics include Stem Cell Niches, Pluripotency and expansion, Cell Fate Specification, Biomechanics, Modelling stem cells, Cancer Stem Cells, Germ cells, Transcriptional and epigenetic regulation. To support cross pollination and a free atmosphere of trust and openness the maximum number of participants at the conference will be 160 including faculty. The conference will take place in beautiful surroundings north of Copenhagen, isolated from outside intrusions. The participants will be staying at or near the conference site and no other parties will be present during the conference period.